Our site is full of foundation repair advice and solutions. We can match you to a certified foundation repair contractor suited to your specific problem. Our local foundation repair contractors can answer your questions and repair your home with the highest quality materials and workmanship in the industry. We can help with the uncertainty of foundation repairs. For many of us, our home is the largest, most important investment we will make. Foundation problems can threaten that investment by causing serious structural damage that reduces a home’s value. Poor soil conditions, excessive water, and settlement over time all cause stress on your foundation that can lead to structural failure. If you wait too long, foundation problems can turn into foundation failure. It is important to protect your home with foundation repair products to ensure the integrity of your foundation, whether it is a crawl space, slab on grade, or a basement made of poured concrete or block. Look for the following signs to see if you are experiencing foundation failure: cracked walls, ceilings or floors, bowing or leaning walls, leaning chimneys, sloping floors, garage column cracks, or doors and windows that stick. If you see these signs, contact us today. My Foundation Repairs has contractors that will provide you with a free inspection and offer the best solution for your foundation repair needs. 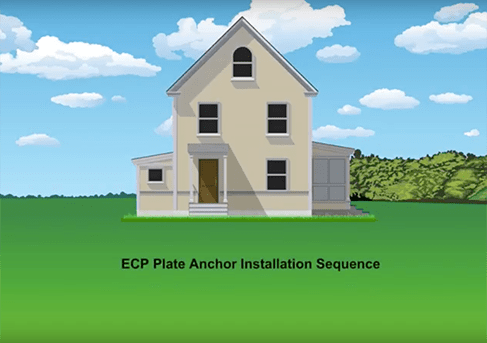 Foundation Repairs Done Right with ECP. My Foundation Repairs contractors use only the best products for foundation repair, manufactured by Earth Contact Products (ECP). 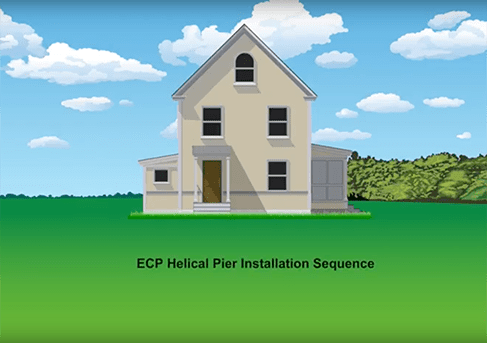 ECP is the industry leader in manufacturing foundation repair and basement waterproofing products, and provide products for commercial, residential, and industrial foundation repair, as well as basement waterproofing repair. My Foundation Repairs is here to help. Contact us today. The key to foundation costs is being well educated in the signs of foundation problems and the repairs that will occur for the type of foundation problem you are having. Your information is 100% safe with us. Free Inspections are for homeowners.